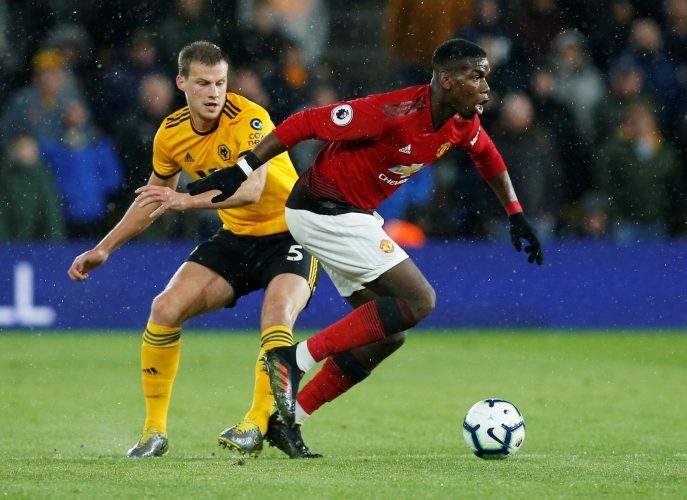 It wasn’t Manchester United’s night as, Wolves emerged 2-1 victorious over the Red Devils in the Premier League, a mere two weeks after ousting them from the FA Cup in a similar fashion. Scott McTominay’s first league goal wasn’t a sight to be celebrated, as Diogo Jota equalized shortly after. The second-half saw Ashley Young sent off after picking up a careless yellow card, following which Chris Smalling was unfortunate enough to net an own-goal and gift the Wolves all three points. The Mancunians have now lost 3 of their last 4 games in all competitions – an abysmal form with which to take on Barcelona in the Champions League next. After the game, there was plenty of blame to be thrown about, with Young facing the brunt of the criticism. However, it was Paul Pogba who was properly given a hearing by United supporters. The French midfielder has failed to rise to the occasion on numerous games now, with the Wolves fixture, in particular, featuring his erstwhile swagger in non-existent terms. The fact that he called Real Madrid and Zinedine Zidane a ‘dream’ club to play at earlier during the international break probably annoyed the Old Trafford faithful further. Pogba’s form was awful months ago, when he was heavily linked with a move away and his relationship with JM hit rock bottom. I remember saying then there was no way a top club would pay top money for him playing like that. Seeing a repeat now. When was his last GREAT performance? Pogba is maybe the most inconsistent elite-level player ever. As a great deal of these tweets illustrates, Pogba has to get back to his peak form. It is evident that the team is being built around him, in the sense that the transition from defense to attack is falling apart, and despite commanding the lion’s share of possession in the most games, United have been relatively toothless. Even Pogba’s erstwhile long-shots that have a reputation of missing weren’t on show against Wolves, and Ole Gunnar Solskjaer and company now have plenty of worrying to do. In fact, if the other sides vying for the top-four berths do what they are expected to, the only way for United to play in the Champions League next season is if they win the competition this time around – an unlikely feat considering the nature of their loss on Tuesday.